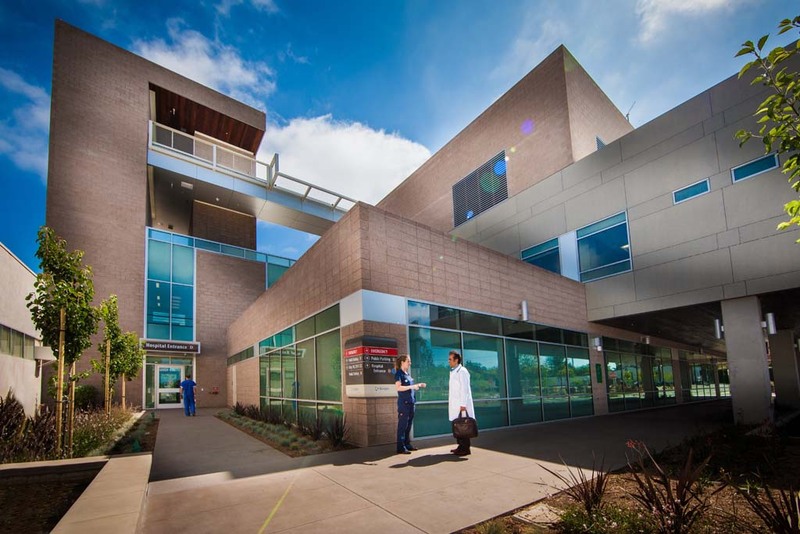 ENCINITAS — Scripps Health today held the grand opening of its new emergency department and inpatient rooms at Scripps Memorial Hospital Encinitas, the centerpiece of the $94 million second phase of the hospital’s expansion. The new rooms comprise the Leichtag Foundation Critical Care Pavilion, the 72,321-square-foot building that hospital officials say will help the hospital meet the rising demands of the local population. “With steady population growth in North County, this expansion helps fill a critical community need by broadening Scripps’ capacity to treat an ever-increasing patient demand,” Scripps Health President and CEO Chris Van Gorder said. Hospital officials said that since 2000, the population of the hospital’s surrounding region has increased by more than 20 percent while emergency room visits have grown by more than 50 percent. The new pavilion features a 26-bed emergency room with all private rooms, two of which can also serve as resuscitation rooms and four that can serve as isolation rooms for patients with suspected airborne illnesses. “With all private rooms, our patients will notice a more comfortable environment and our staff will have more space to deliver care with even greater efficiency,” Van Gorder said. Another key feature of the new emergency room is five ambulance parking bays — more than double the previous amount — which officials hope will reduce ambulance transport time and get first responders back into the field more quickly than before. The pavilion’s second floor houses 36 private medical-surgical inpatient rooms for patients recovering from surgery or acute illness, as well as by patients admitted to the hospital from the emergency department. The expansion’s second phase also includes a new central energy plant, medical imaging technology, including new CT, MRI and X-ray units, and infrastructure improvements both on and around the hospital campus, including improvements to the southbound Interstate 5 on- and off-ramp at Santa Fe Drive and improvements to Devonshire Drive, which are still ongoing. Scripps has raised nearly half of the money for the multi-million dollar growth plan through private donations, including $40 million from major donors and $1 million from Scripps employees and doctors.